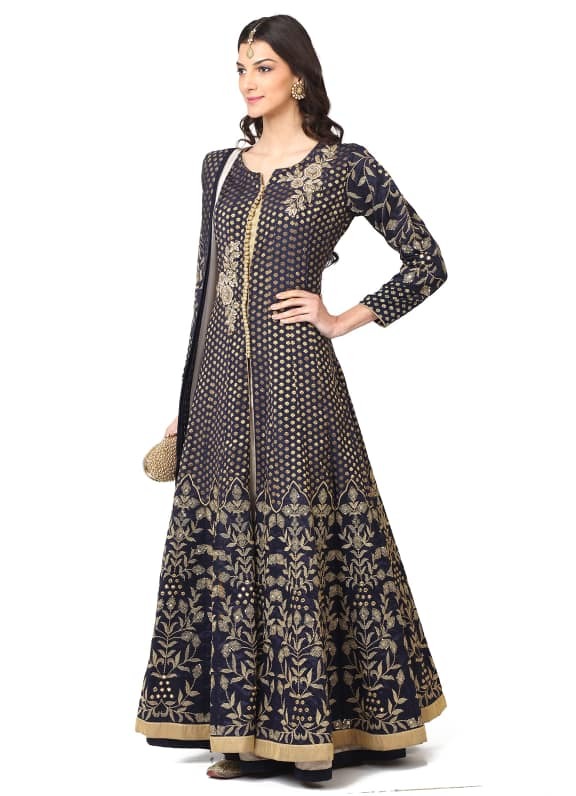 This ensemble features a blue brocade anarkali with floral zari embroidery and high slit. 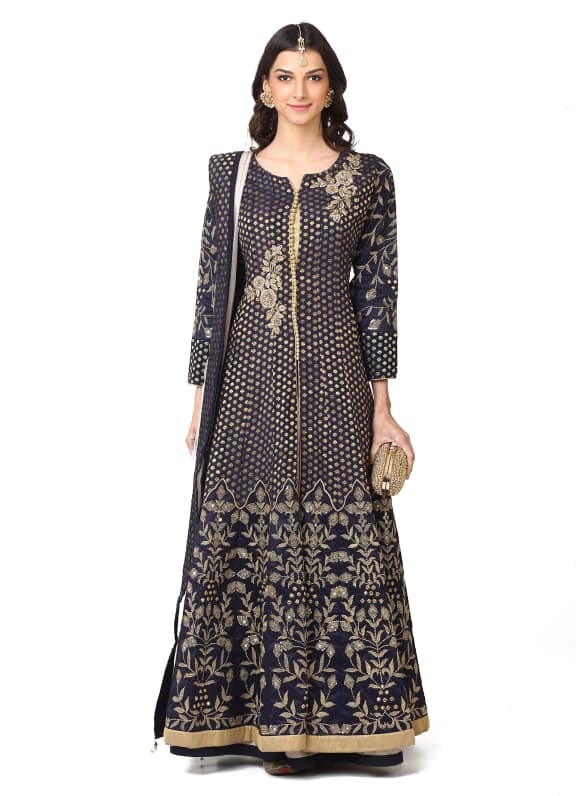 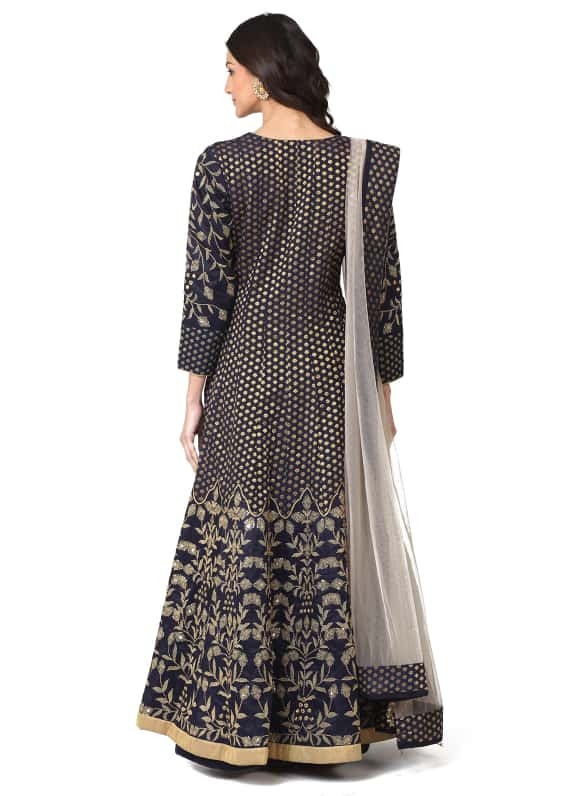 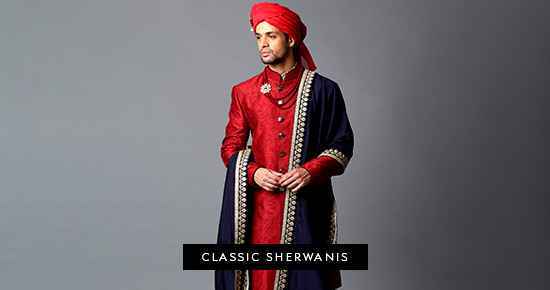 It is paired with a plain grey skirt and net dupatta. 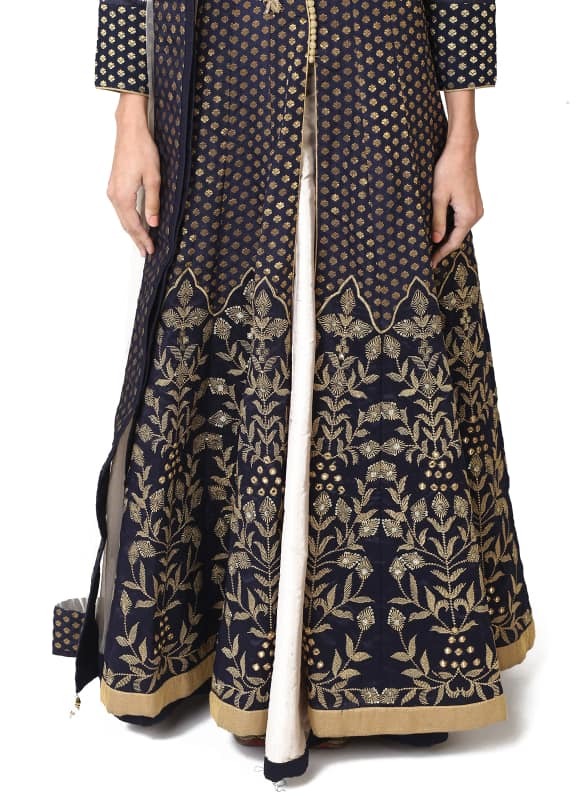 Wear this royal ensemble for your friend's sangeet night and style your look with a pair of earrings and maang tikka by Amethyst and an Alana clutch.